You can also find your favourite retailer in our directory. Click here: Our official retailers. NEW: We compiled an overview with estimates of various Repairs & Services for your watch. 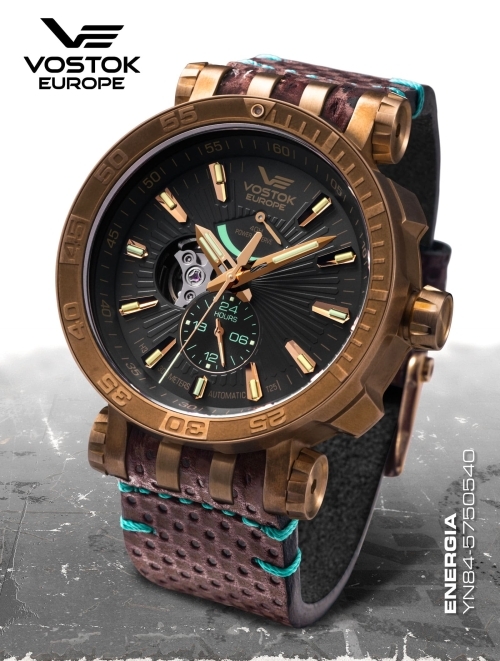 The brand new Vostok Europe Expedition Everest Underground line is finally here. These watches are dedicated to the exploration of one of the deepest caves in the world known to man, the Krubera-Voronia Cave. While descending into the depth of 2197m the Lithuanian-Ukrainian speleologists achieved a new world record: No person made it deeper into the cave ever before. 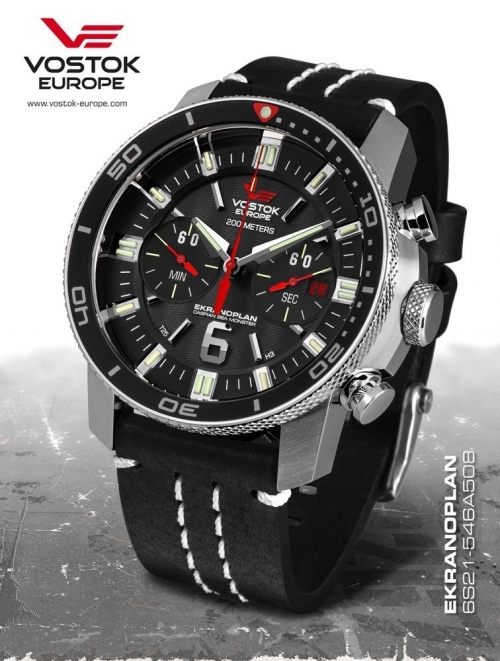 During the expedition the team members used Vostok Europe watches with tritium tubes watches to check time. These watches are extremly durable and contain GTLS making them the perfect companion for narrow and dark sections of the descent. The line includes 4 automatic and 5 multifunction watches. 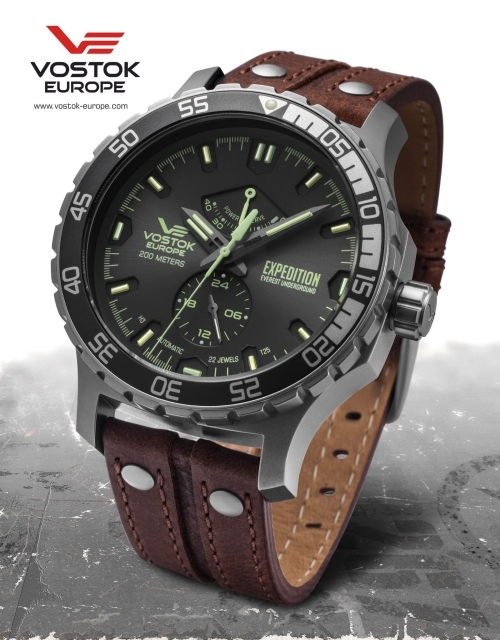 All of them offer a water resistance of up to 20 atm, GTLS tubes and the brand new and exclusive Vostok Europe multitool. The picture shows model Expedition Everest Underground Automatic YN84-597A543. 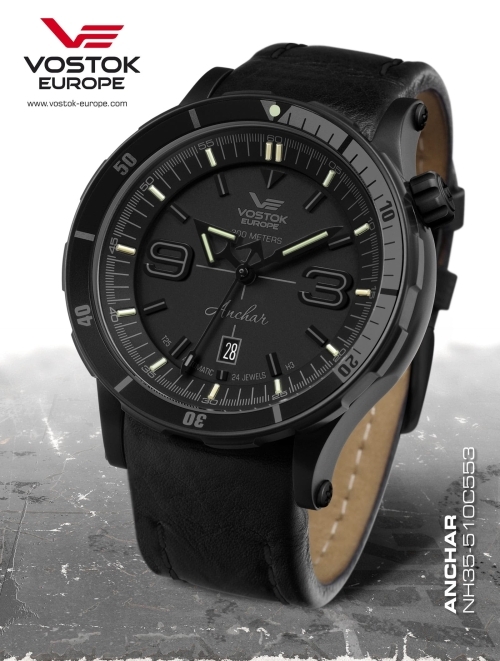 InnerSpace Explorers (ISE) founder and President Achim Schlöffel, well known as the first person in the world to dive the English Channel, is the latest ambassador of the Vostok Europe watch brand. Achim is a professional and deeply passionate wreck diver who had the idea to explore the waters of the Elba Island (Italy), searching for sunken ships at the beginning of 2018. 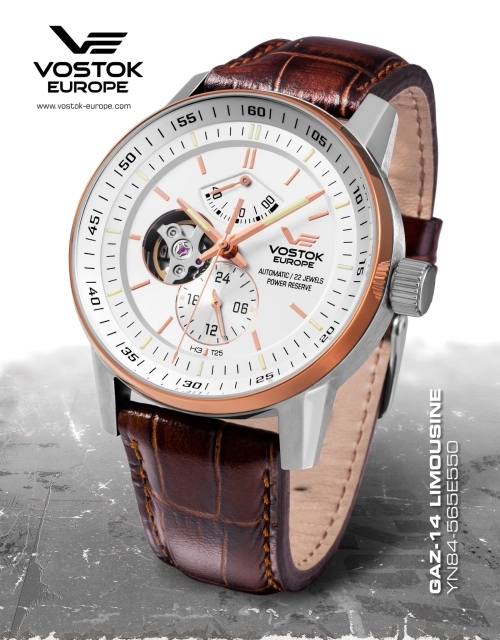 Following their slogan “thought – made” Vostok Europe teamed up with Achim and his crew to follow them into the depths of the Mediterranean Sea and present this brand new special edition watch to you. The first Ghost Wreck expedition took place in May 2018 in the Tuscan archipelago and had the aim to trace and explore one specific sunken ship, presumably one from the times dated back to World War II. Unfortunately, a search lasting for days was not successful but coincidentally the team has discovered another sunken wreck that was thought to have been lost for several decades. An exploration was conducted and the 12 members of Schöffel’s team solved quite some mysteries about the abandoned yacht. We were very excited to experience this adventure and look forward to the next expeditions with the members of ISE and Achim Schlöffel. 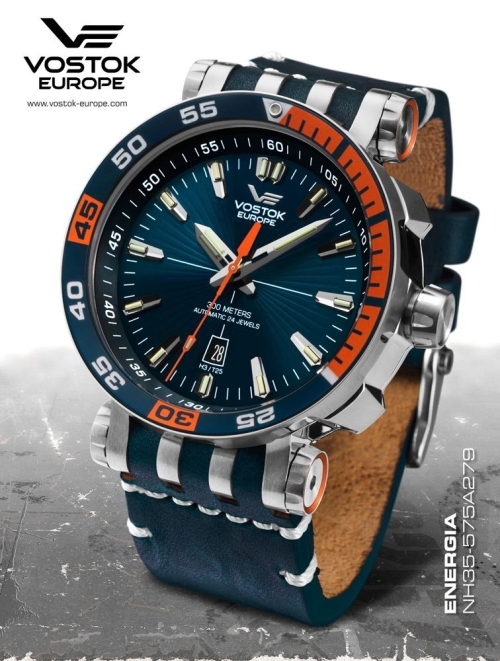 During the exploration diving, all participant members of the ISE tested the brand new Vostok Europe Special Edition Ghost Wreck Expedition watches of which there are only 100 pieces worldwide. The watches were used during the precise planning, complex preparation and of course during the several dives at 58 meters. The Caspian Sea Monster Ekranoplan KM (Ground Effect Vehicle) was the largest vehicle of its kind ever designed. Due to the lack of water contact the vehicle was invisible to submarines and ships using sonic waves. And because of its low operating altitude the Ekranoplan could not be identified by radar. It still holds the record for lifting the heaviest load off the ground (even more than the largest modern cargo plane Antonov An 225 “Mriya” can handle) and had an air of mystery around it for a long time, tested in secrecy on the Caspian Sea in the years 1966 to 1980. This series features precise movements, 20atm water resistance and long lasting lightning of Tritium tubes just to name a few details. 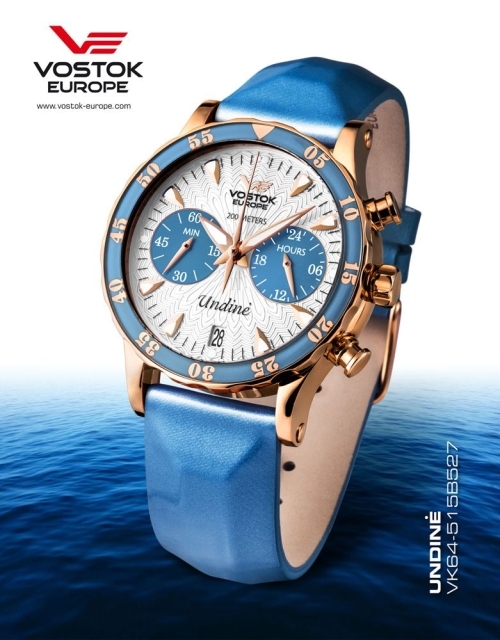 The picture shows model Ekranoplan Titanium Chronograph 6S21-546H514. Venture to the 90th parallel North to the middle of the Arctic Ocean where constantly shifting sea ice blankets the surface, and you will find yourself at the North Pole. The extreme conditions here require equipment that can keep up with the demands of the ever changing environment. Sturmanskie watches were instrumental in Russian history and exploration. In 1957, the Russian government ordered a series of “Arctic” watches to be developed for the first Soviet expedition to the North Pole. These legendary timepieces have been reproduced and handcrafted in the same manner as they once were nearly sixty years ago. Today, “Arctic” watches are worn by polar explorers and members of the Russian Geographical Society. The picture shows model Arctic 2431-6829342.